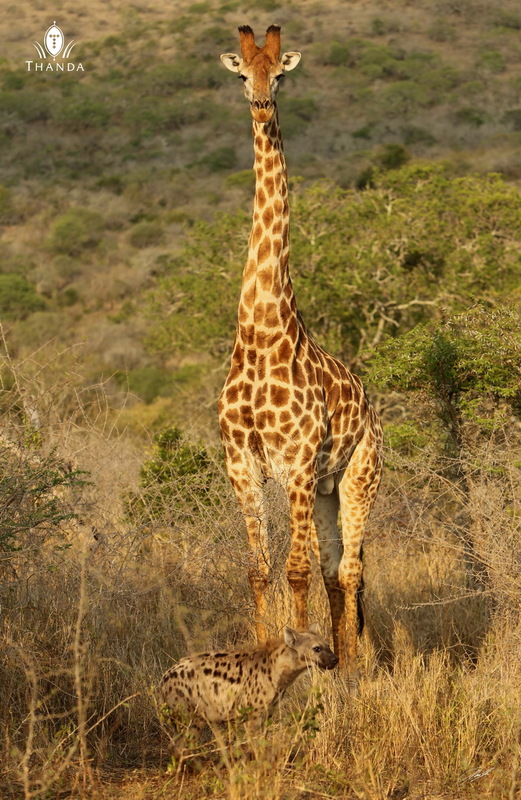 At the small waterhole in front of Thanda’s Villa iZulu a Spotted Hyena and a journey of Southern Giraffe met and interacted for almost an hour. 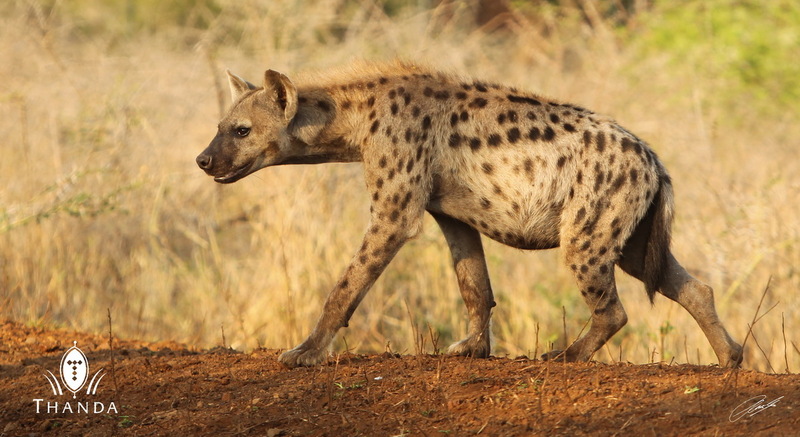 This image shows Bheki in between the actors in this early morning drama. 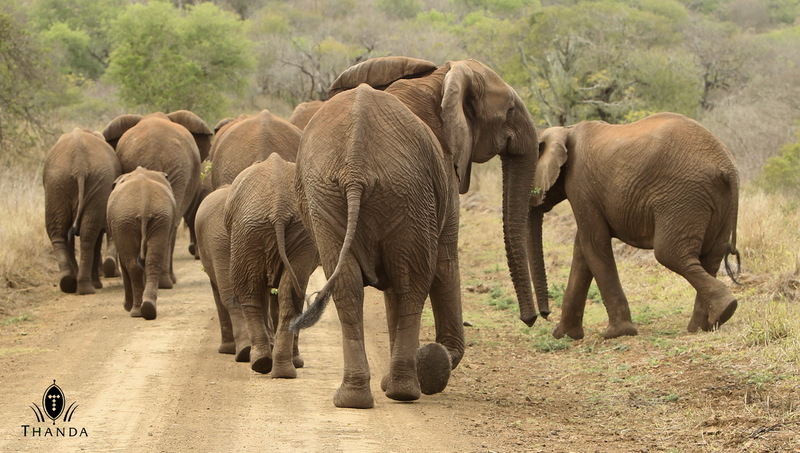 … We left after watching this scene for almost an hour – On the way back to Thanda’s Safari Lodge we ran into an Elephant road block. The matriarch was having an eye on us while we followed the herd slowly until they made their way through the bush to another waterhole. What a morning! Very exciting day. 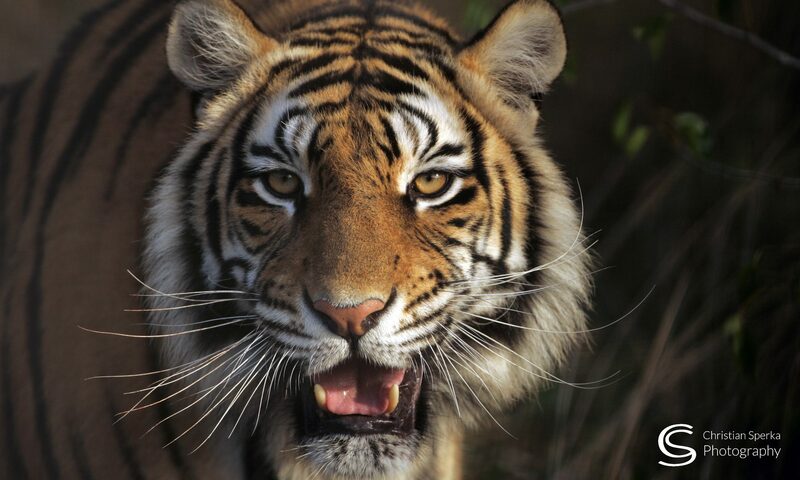 All the pictures are great! 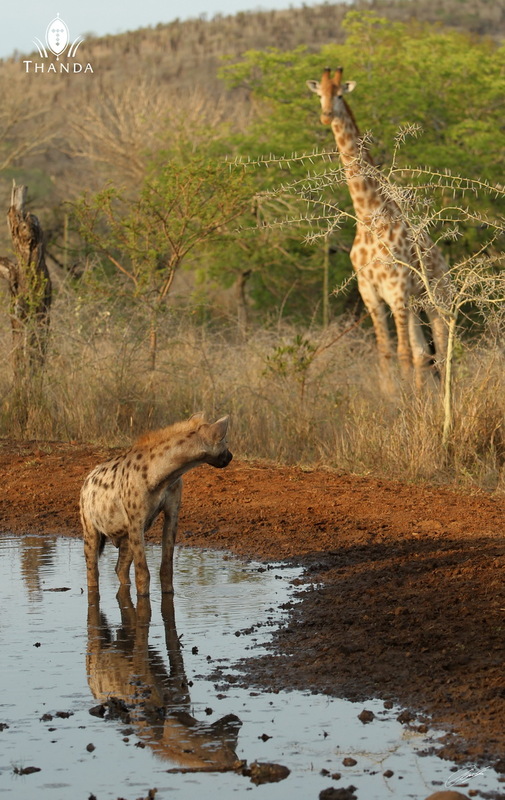 Love the picture of the Giraffe drinking and also the Hyena’s reflection in the water.Keep up the great work. I really love these images and the story that goes with them. 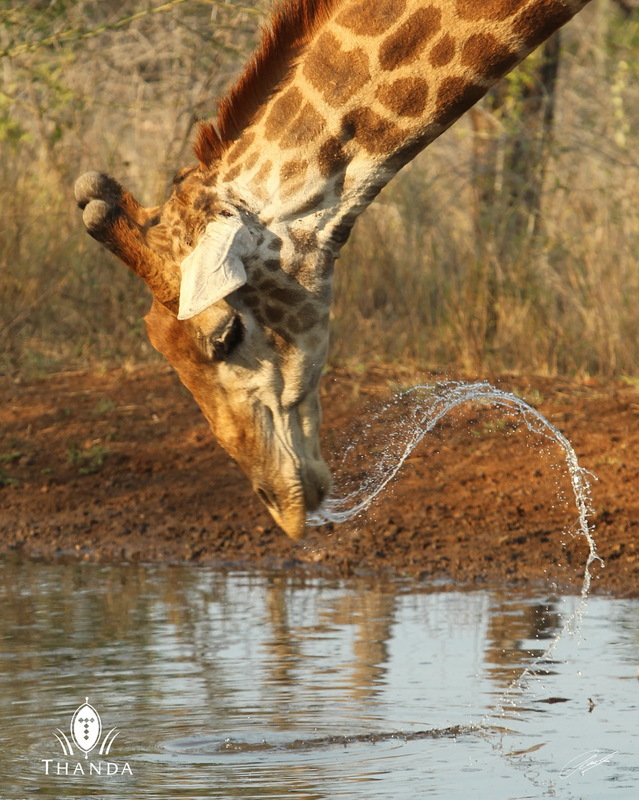 I really, really love image #4 of the giraffe drinking and the water flying from his mouth. Next PostNext Kings and Queens!